Are you between the ages of 18 and 34 and completely exhausted by the idea of 40 more years grinding it out in the 9 to 5? Do you feel like your actual work could be done in 6 hours out of the 8 you spend in the office? An average UK employee spends about 12.5% of their time at work (1.5h) on non-work-related activities, be it life-admin or just disappearing into a social media rabbit hole. We are filling up our hours until it hits 6pm, so we can leave. It’s like a kindergarten all over again, but for adults. Many employees admit that their working day could be much shorter if they didn’t have to pretend to do so much work. Or maybe you would rather work 10-hour days for 4 days a week? Most people would prefer to work harder for less hours. You’d rather work 30 hour a week and know that in those 30 hours you’re working a bit faster and more efficiently rather than sitting there for 40 hours a week bored out of your brain because you have nothing to do. Whatever your current work situation is, if you feel that there is more you could be doing with your life, then becoming a self-employed could help you to take back the control in a way that is beneficial to you, and not your employer. No matter what they say, the primary purpose of business is to increase the bottom line – not enrich people’s lives. If a business isn’t making money off you, it dies. It’s important to be aware of it and realise that there is no reason to invest your entire being into a business that can’t and won’t give you a return on your investment. With full time employment, you’re not just selling your time and expertise, you are selling half of your life. What will a career mean in the future? In a creative and digital industries, a career will mean working on multiply projects spread over a lifetime. These projects will grow you both personally and professionally quicker than any traditional full-time employment ever could. Building a career will no longer mean repetitively bashing out the same terrible marketing strategy to drive engagement for brand X for years before you get promoted to be a team leader to only realise that managing people is not what you enjoy. You will choose the work that suits you without having to consider to be stuck on a horror project for months. You can quickly change what type of work you want to do and take on projects which you feel are in line with your thinking, so you can have drama-free working relationships. Teams will soon be composed largely of freelancers, who collaborate on projects for a set duration, and then part ways upon sign-off. This independent workforce offers clear new benefits to employers: lower wage bills and overheads, access to a wider pool of talent, and increased flexibility for effective delivery. Millennials, 16 to 34 year olds young adults, are the first generation in history that have grown up with the internet, which has shaped their entrepreneurial spirit, making them the most entrepreneurial generation in Western history. Millennials are now coming straight out of education and into high demand in the digital sector. Britain’s digital economy is currently one of the stronger global markets, with the UK creative industries generating £71 billion in revenue each year. And freelancers are benefiting both financially and personally. In the UK freelancers earn a median income of £42,857 (FTE) per year, which is £16,357 more than what an average employee makes. By contrast, at 38.2 hours, a freelancer’s average working week is also 5.4 hours shorter employees. Nearly eight in ten freelancers (77%) make the same or more than they did before freelancing, and an overwhelming majority (94%) would rather be self-employed than a waged employee. They feel that their ability to be creative flourishes under flexible and autonomous conditions. 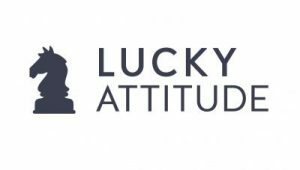 Lucy Kirkness, director at digital consultancy Pandable.co said that by the third month of being a freelancer, she was earning more than she has ever done in full time employment, and for working only half the hours. The idea of working for the same organisation all your life is outdated and freelancing seems like the best way to satisfy young people’s need for constant learning and rapid growth. The transition towards collaboration and freelancing are nothing less than revolutionary. Western society hasn’t seen a change this significant in more than a century, when we transitioned from an agricultural to an industrial economy. Since the crash of 2008, self-employment has skyrocketed in the UK. By 2009, entrepreneurial activity was at its highest level since 1995. According to Talk Tax, an all-in-one resource for hard-to-reach HMRC contact numbers, self assessment, policy changes and benefits, there is about 4.6 million self-employed people in Britain, which is a significant proportion of the total 32.26 million employed (2018). 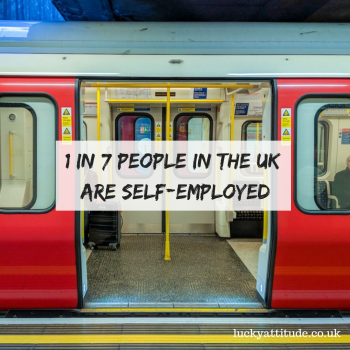 Roughly 1 in 7 people in the UK are self-employed. “We’ve seen self-employment rise very significantly since 2008 recession. I think probably something like two-thirds of the increase in employment in recent years. Once the economy started to recover, there has been a very substantial rise in self-employment which has moved from something like 8% to 6% today,” said economist Ricky Price to BBC. Call them freelancers, contractors, consultants, temps or micro-business owners – we will see even more of them in the future. The UK is currently a home to a growing community of freelancers, to whom work is not the opposite of play, but the single greatest opportunity for satisfaction and fulfilment. It is time to grow our lives through work, receive the salary we deserve and work hours where we’re neither slaves to the office nor sitting at our desks cruising Facebook while desperately waiting for the clock to hit 6.